A new CMS warning alerts providers that PBJ data will be used in Five-Star rating calculations beginning next year. It also reminds providers that late submissions will result in star ratings being “suppressed” (i.e., removed) from ratings tables and the Nursing Home Compare website. *** Providers that do not submit staffing data through the PBJ system for the April 1, 2017 to June 30, 2017 reporting period by the August 14, 2017 deadline will have their overall, staffing and RN staffing star ratings suppressed (i.e. removed) until data are received. 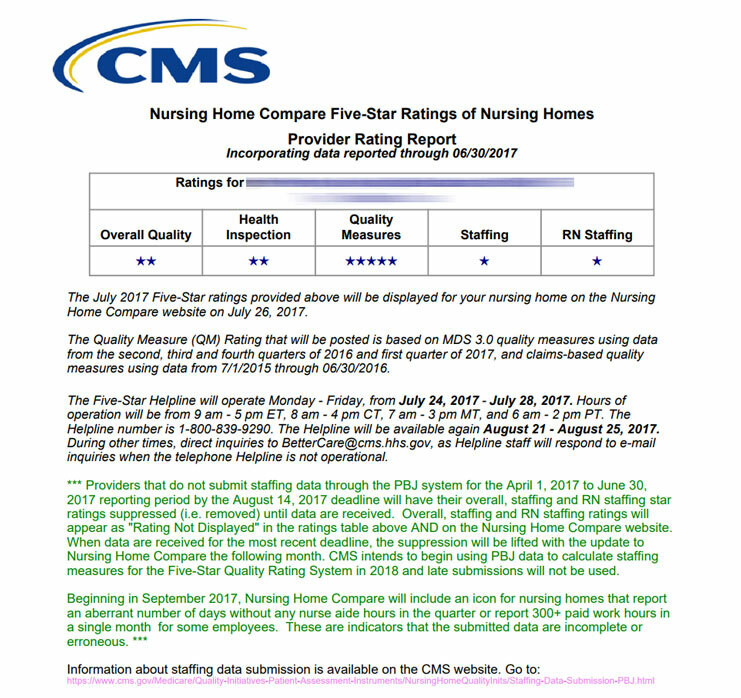 Overall, staffing and RN staffing ratings will appear as “Rating Not Displayed” in the ratings table above AND on the Nursing Home Compare website. When data are received for the most recent deadline, the suppression will be lifted with the update to Nursing Home Compare the following month. 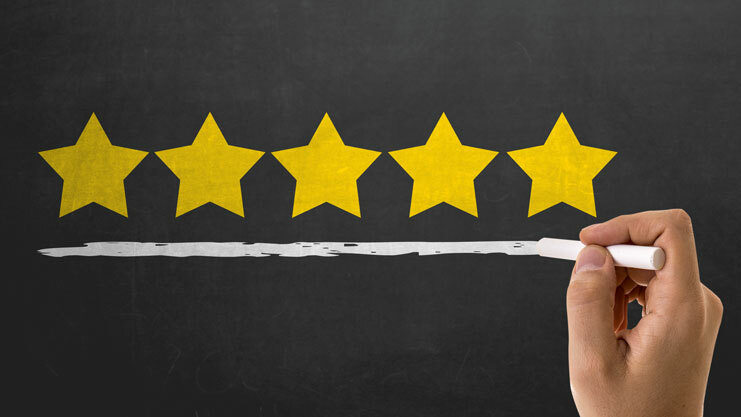 CMS intends to begin using PBJ data to calculate staffing measures for the Five-Star Quality Rating System in 2018 and late submissions will not be used. We recommend that SimpleLTC customers proactively track and submit staffing data throughout the quarter, rather than waiting until the last minute before a deadline. PBJ data must be submitted successfully and accepted by CMS in order to be considered on time. Need help with PBJ submissions? To learn how to easily submit your PBJ data to CMS and track PBJ reports using SimpleConnect™, please request a free demo. For more info about PBJ staffing data submission, visit the CMS Staffing Data Submission PBJ page. Hi Donna — I’ll have someone from ezPBJ follow up with you to schedule a demo so you can see how PBJ data is calculated, compiled and submitted to CMS.